We’re spending more time in the backyard nowadays, and my son and I wanted to invite the birds to join the party. 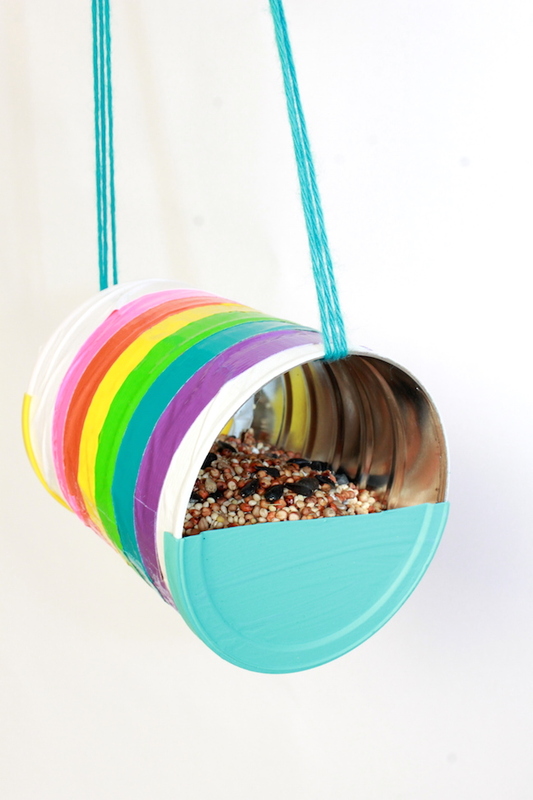 This recycled can bird feeder craft was our way of doing it. 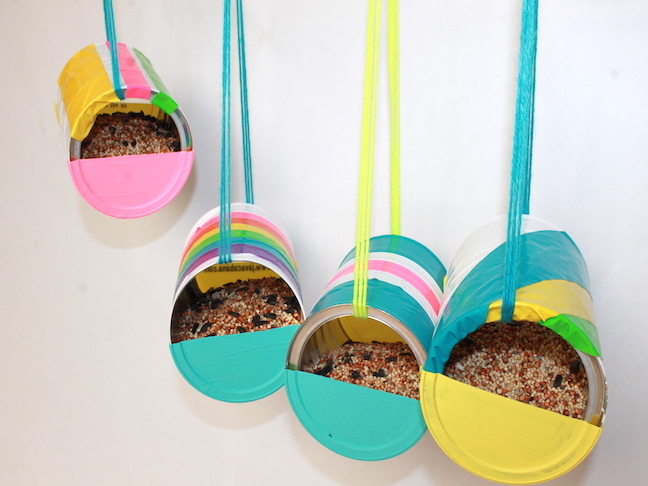 Not only does it add a pop of color to our backyard, it attract birds (and some squirrels) as well. 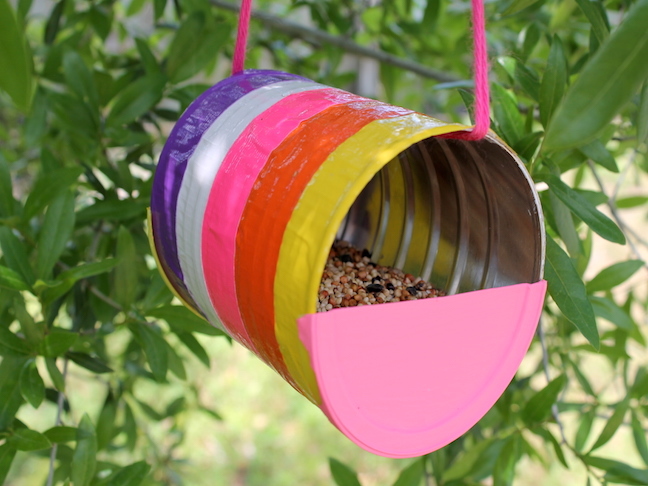 We hung a few of these for a fun pop of color in a tree in our backyard and they provide an endless source of spring entertainment for us. It sure beats staring at the TV. 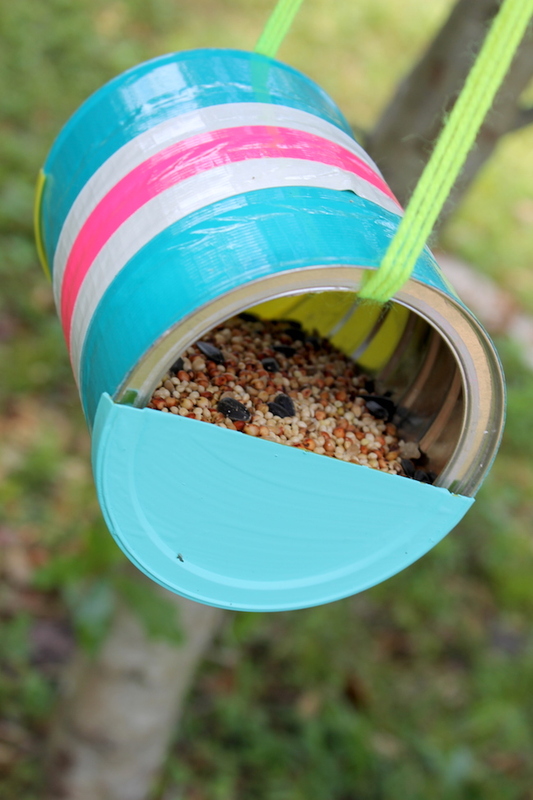 Learn how to make a bird feeder out of an old coffee can in the tutorial below, and check out the slideshow for more fun craft project made from household items we all typically throw away. 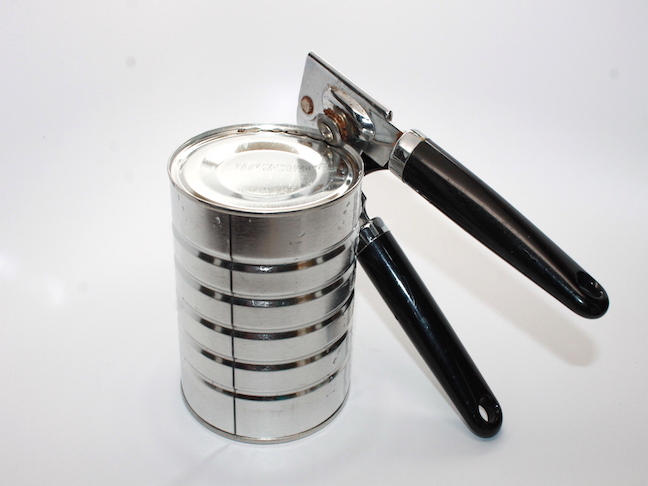 Step 1: Clean and open your coffee can with a can opener. 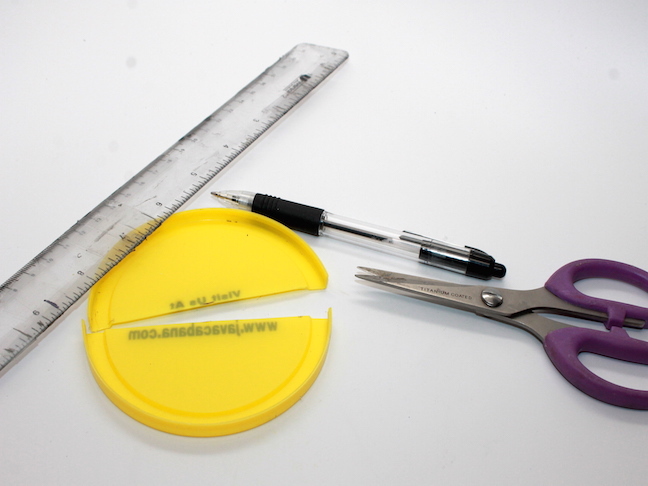 Step 2: Cut the coffee can’s plastic lid in half. 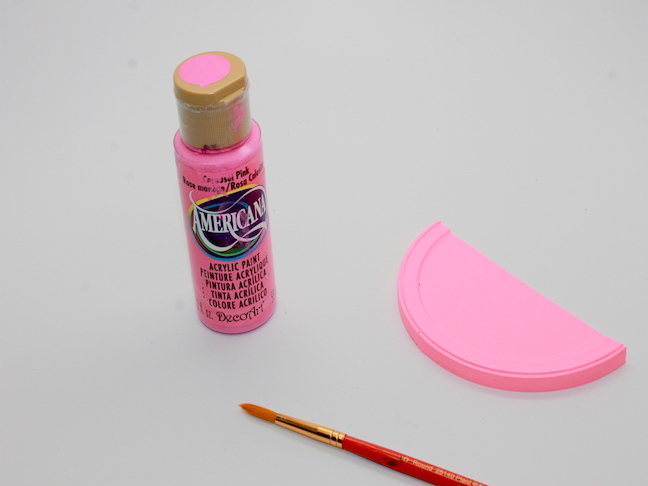 Step 3: Paint your coffee can lid halves. Let dry. 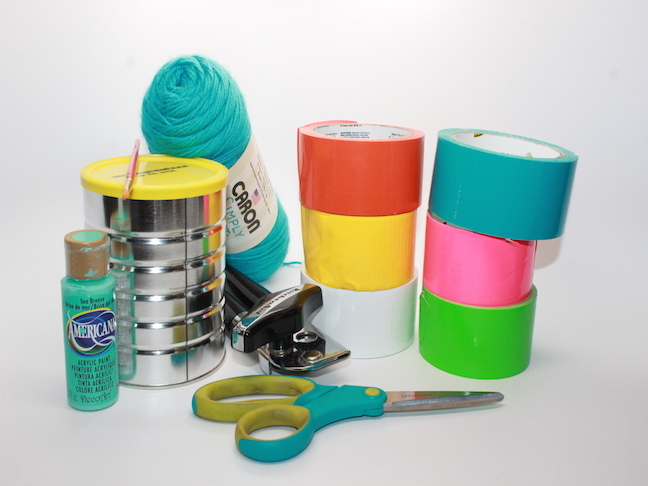 Step 4: Decorate your can with colorful duct tape. 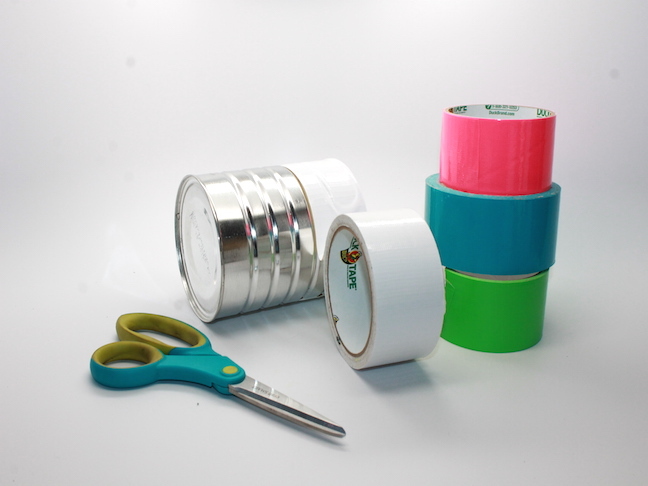 Tips: Layer the tape on top of each other to create different widths. 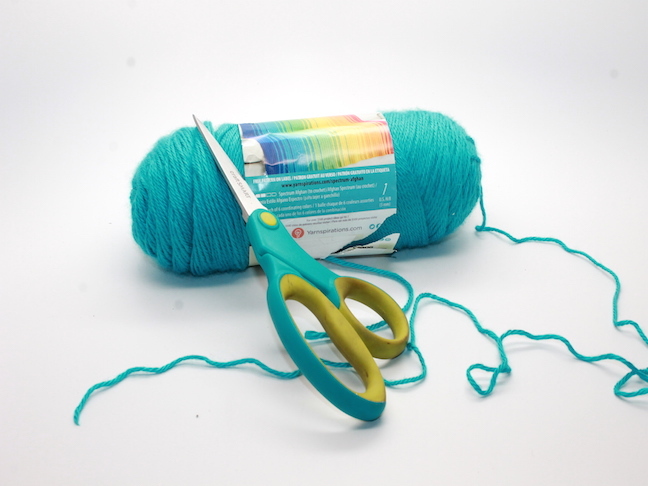 Step 5: Cut yarn or ribbon at your desired length. Thread it through your can. 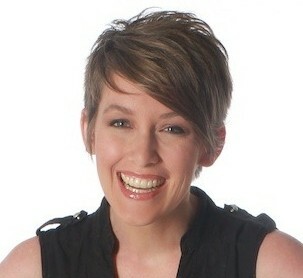 Place the half lid on either side of the can. 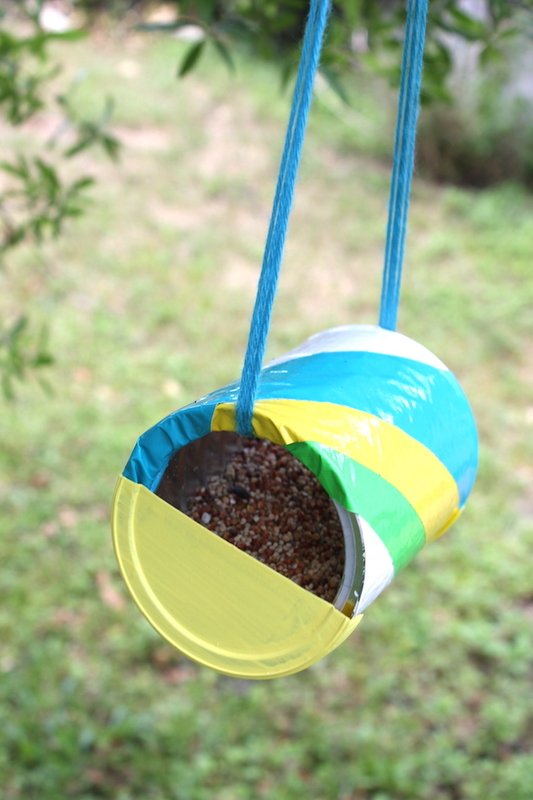 Step 6: Fill your can with birdseed and hang outside.